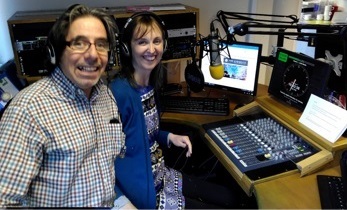 Debbie Hyde and David Durant write, produce and present It’s All Good Radio Show on a voluntary basis aimed at providing a platform for those who need a voice to reach new audiences. Through this show David and Debbie shine the spotlight on individuals, companies and organisations who are challenging the norm and are changing the way we live and work for the better. Their goal is to replicate the Its All Good Radio Show concept throughout the UK and support the creation of local platforms using media and the web to report, inform and educate on topics, initiatives and solutions which already exist but are not widely adopted because they are not talked about enough in the media. Through their work their wish is to connect these change-makers and create a collective voice for good to encourage others within each community to adopt new ways and thereby effect positive social change. Debbie and David believe that by utilising media in such a proactive way it is within our grasp to stimulate and nurture the growth of change for the better.